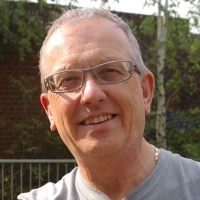 Peter would like to say he’s been a writer all his life but it is only since retiring as a teacher in 2010 that he has been able to devote enough time to writing to call it a career. Brought up in Cardiff, he studied Chemical Physics at the University of Kent at Canterbury, then taught chemistry (and a bit of physics) in Norwich, the Isle of Wight and Thames Valley. His first experience of publishing was in writing educational materials which he has continued to do since retiring. Of his fictional writing, Seventh Child is his first published speculative fiction novel. Peter has been a fan of science fiction and fantasy since he was young, has an (almost) complete collection of classic SF by Asimov, Ballard, Clarke, Heinlein and Niven, among others, while also enjoying fantasy by Tolkien, Donaldson and Ursula Le Guin. Of more recent authors Iain M Banks, Alastair Reynolds and China Mieville have his greatest respect. His Welsh upbringing also engendered a love of the language (even though he can’t speak it) and of Welsh mythology like the Mabinogion. All these strands come together in the Evil Above the Stars series. He lives in Herefordshire with his wife, Alison, who is a great supporter. Seventh Child, volume 1 of Peter’s fantasy series Evil Above the Stars was published by Elsewhen Press on 2nd January 2015. Volume 2, The Power of Seven, was published by Elsewhen Press on 30th January 2015. Volume 3, Unity of Seven, was published by Elsewhen Press on 2nd January 2016. September Weekes returns in the first September Weekes novel, Cold Fire which was published by Elsewhen Press in August 2017. Peter’s story In the bleak Long Winter is included in the anthology Existence is Elsewhen which was published by Elsewhen Press on 18th March 2016.